If the fusion is the fashion genre, it is logical to think that many bands of the patio are experimenting with fans of sonorities and marking their music with this particular label. Against the health of purists, today this genre lives a boom and has managed to establish itself in the preferential tastes of music lovers with wide tuning fork. Some time ago it fell into my hands Now that we are sober, the debut album of Teamgla'o with which, at last, these guys break the ice to insert themselves once and for all in the commercial circuits of music, of which they seemed to be oblivious. 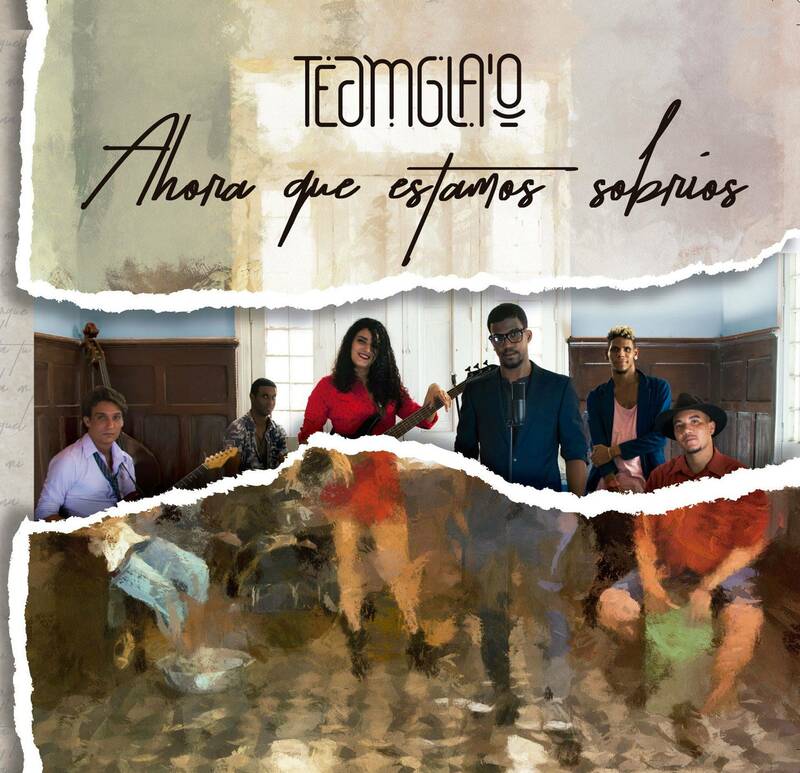 Since its founding in January 2014, Teamgla'o is a group that advances with slow but forceful steps in the Cuban music scene, working, under the direction of Frank Luis Travieso, a path in the world of author song and genre. fusion. Under the record label EGREM and the production of Ernesto Cisneros, Now that we are sober is an album that summarizes the musical career of this group that has dragged an assiduous audience to the AHS clubs and other venues such as La Casa de la Bombilla Verde and El Sauce. In this phonogram, Teamgla'o opts for a multi-stylistic trend, and based on its interest in the call world music, they bring to this field a compilation of songs marked by the resonances that have patented the sounds of the Island. The thirteen tracks that make up the disc trace a wide sound curve, where jazz, timba, son, bossa nova fit , through merengue, flamenco and even a country wind in the theme Twelve months. The combination of intimate lyrics with popular themes stands out on the album. Although it does not have particularly hypnotic clues, we are in the presence of a balanced compendium of tracks that go from the subtlety of a song like I miss you, to the cadence and the outburst of Tell me, where they summon a playful sax as prelude to the invitation to guarachear. Another hook within the phonogram are the collaborations with artists from the playground such as Buena Fe, Alain Daniel and Adrián Berazaín. Excel in these featurings the warm and versatile vocal record of Israel Rojas, who has supported the Teamgla'o race since its very beginnings and who contributes in Breath of pleasure the always enriching touch of his consolidated style. Unfortunately, the wide musical spectrum that recreates this album skirts the danger of falling into dispersion. The truth is that, in an effort to merge rhythms and styles, the necessary cohesion weakens, with which the group sacrifices the organicity of the album and its sound ends up in no man's land. It is undeniable the value of the lyrics that, under the immense umbrella of fusion music, give life to a relevant sound capable of providing lovers of ethnic and urban space for the marriage of our music with other rhythms. However, I would suggest that Now that we are sober it could have been conceived with greater mischief. Despite the granite of renewal that contributes to the song of the author, the distinctive touch is lacking, that indispensable mental click that sounds when we face a work that moves the floor. The syncopated wave of "A Day Anyone"